I recently got the procgen bug and the space nerd bug at the same time. So I decided to see if I could write a bit of code that could generate star systems that pass the astronomy nerd sniff test based on recent research. I'm sure I made a lot of mistakes, and if this is ever posted in a proper space science forum many flaws will be found, but even so, I think I fulfilled the spirit of my mission. I'm not really an astronomy nerd myself, so I started with Wikipedia pages. I learned about the Kepler mission. 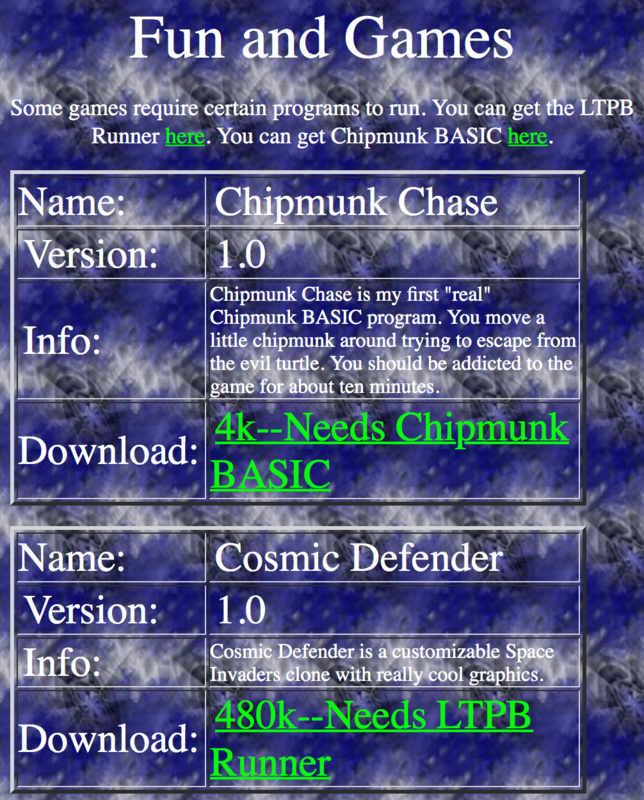 I found some charming old-school web sites. All told, I skimmed about 40 articles and papers, and directly used about half of what I came across. The first thing you need in a star system is a star. I decided to include only main sequence stars, since some of my sources didn't include information about anything else. Non-main-sequence stars, i.e. giants and white dwarfs, happen to be inhospitable to interesting exoplanets anyway. Star type is picked using a simple weighted random choice. Each star type is associated with an approximate color, luminosity range, and radius range. The mass can be computed from luminosity. Colors are from What color are the stars? by Mitchell Charity. Probabilities are from The Real Starry Sky by Glenn LeDrew. Radius, temperature, and luminosity are much trickier. Calculating the Radius of a Star from the Sloan Digital Sky Survey explains how to do it properly, but I hate real math, so I just took a random value 0-1 and mapped it to a min and max value for the star based on its type. Because I was much more interested in planets than stars, and I wasn't planning to create accurate orbital mechanics, I was eager to hand-wave past this part of the generator. Every star system has a habitable zone: an orbital radius that is close enough for liquid water to exist on a planet's surface, but far enough away for the atmosphere not to burn off. 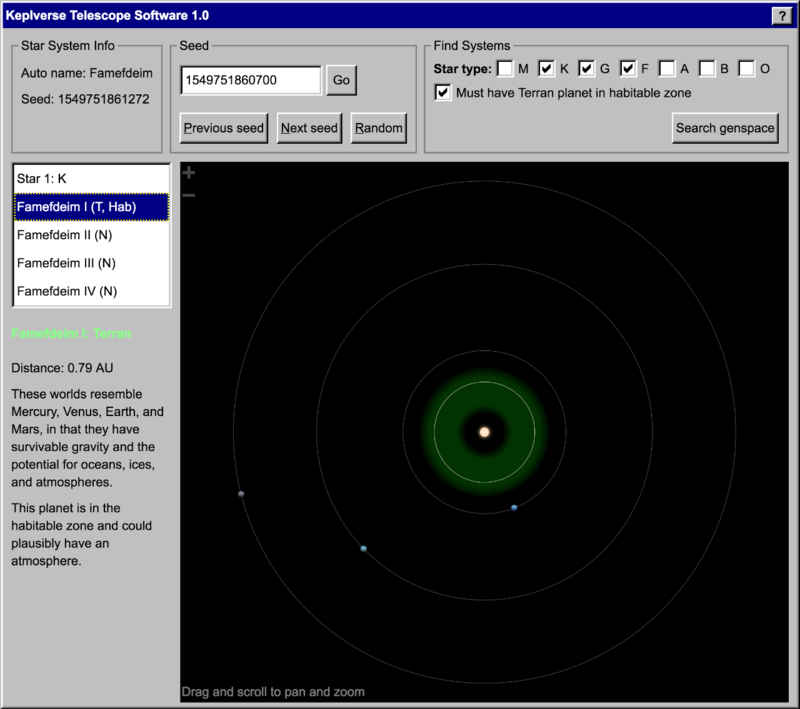 I learned how to compute the habitable zone for each type of star from solstation.com, an amazing Web 1.0 site. You combine the star's luminosity with a magic (to me) number, the normalized solar flux factor, or seff. Each star has a seffMin and seffMax value representing the beginning and end of the habitable zone. The habitable zone boundaries in AU can be computed using Math.sqrt(luminosity / seff[Min|Max]). The last interesting value I chose to look at was metallicity. 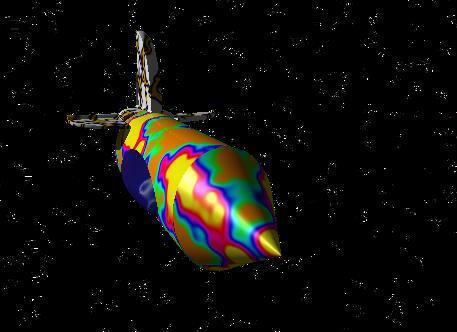 Research published in The Astrophysics Journal in 2004 by Fischer and Valenti suggests that gas giants are much more common around stars with high metallicity. My best approximation for picking reasonable metallicity values came from a small figure on page 5 of The Metallicity Distribution of the Milky Way Bulge by Ness and Freeman. I combined two Gaussian distributions that put most stars in the 0–0.5 range, with the rest at -0.5–0. There's a correlation between high metallicity and proximity to the galactic plane, but I explicitly ignored that since I wasn't trying to place any stars in a coordinate space. Many star systems, perhaps most, contain two or more stars in orbit 0–1 light years apart. The fraction of star systems in various configurations is not well known as far as I could tell. 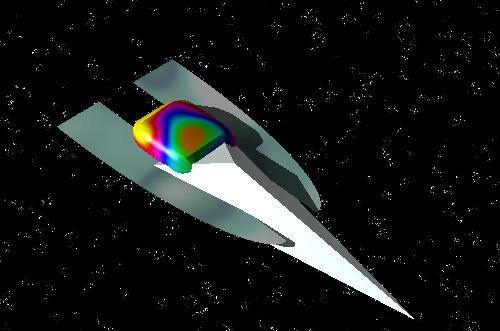 I also didn't want to deal with modeling the effects of the distance between binary stars on orbits and such. So I decided to do pull some heuristics out of thin air: 11% of the time, an extra star will be added to the system as a “close binary”, and the less massive star will be ignored for planet-generating purposes. The less massive star also does not affect the habitable zone of the system, which I realize might be too extreme of a simplification. Research on stars has been steady for as long as people have had telescopes, but research on exoplanets took a huge leap forward when NASA launched the Kepler telescope into space, surveying 150,000 stars for exoplanets over four years. Because of this mission, there's a huge difference in the quality and results of research published before and after about the year 2010. I wanted to combine some high-level basic facts from the Kepler mission into a simplistic yet believable model for placing planets in star systems. Googling around for Kepler findings is a good way to spend an afternoon. I learned a few interesting and surprising facts, not all directly related to Kepler: * Few gas giants have been found in far-out orbits, despite Jupiter and Saturn being quite far out in our solar system. * At least one in six stars has an earth-like planet. * Planets tend to have a similar size to those in adjacent orbits. (Many Worlds is a great blog!) * Nearly all sun-like stars have earth-like planets. * 70% of stars, regardless of type, have an Earth- or Neptune-like in orbits up to a bit over 1 AU. * M-Dwarf stars have an average of 0.5 Earth-like planets in their habitable zones. The only thing that differentiates these classes is size. Once a planet gains a certain mass, two Earths or so, it gains a hydrogen-helium envelope that is inhospitable to life and becomes a Neptunian planet. And when it crosses another mass threshold, the extreme gravity means it can't have a well-defined surface, and becomes a Jovian. Finally, a body might be massive enough to behave like a successful or failed star, no longer even classified as a planet. Each planet type has a different mass-radius relation. The unit M⊕ is Earth-masses. Putting all these facts together, I made what I thought was a reasonable pass at a set of simplistic rules. Next, there's a 30% chance of stopping, because only about 70% of remaining star systems have planets at all. Now that it's time to make some planets, use the some eyeballed and estimated figures to weight different kinds of planets. Gas giants have a weight of 0.3 if the star's metallicity is >= 0, otherwise it's 0.04. Terrans have a weight of 0.3. Neptunians have a weight of 0.6. This is the most common type of observed exoplanet. Kepler was mostly looking for planets in close orbits, so it might have missed many planets in far orbits. Kepler found a lot of planets in close orbits. Planets are pretty common in the habitable zones of stars. The Titus-Bode relation is pretty accurate. Combining those ideas, I thought it would be reasonable to create eleven “slots”: one somewhere in the habitable zone, five closer to the star, and five farther away from the star. One would be randomly chosen as the “start,” and then planets could be added inside and outside the existing planets based on some probability, occasionally skipping an orbit just for fun. I added a special cheat case to match the statistic that M-dwarfs average 0.5 Terran planets in their habitable zones. If the star is an M-dwarf, there's a 40% chance of forcing the start of the planet sequence to be a Terran planet in the habitable zone. Once a planet is added, there's a 30% chance of adding an additional planet in an orbit closer or farther away from the star. Half the time, an orbit slot is skipped. The 30% value comes from a NASA infographic, Planetary Systems by Number of Known Planets. Each planet gets a random mass based on its type, and its radius can be computed from its mass. That's the end of the algorithm! The result is a model of a star system that sort of, kind of, if you squint at it, vaguely lines up with what scientists know about the distribution of exoplanets among star systems. There are a few facts I didn't account for in my program that would be simple to fix. I made no attempt to make planets in adjacent orbits have similar sizes, since I couldn't find precise explanations of how strong that correlation was. I also didn't try to build a model of planets any deeper than Kepler studies: I have no idea what planets are made of, or anything about moons around exoplanets. I didn't include asteroid belts, even though they are likely quite common according to /r/cosmology. Since this program is mainly for science fiction worldbuilding, I think the lack of an orbital period calculator is my biggest missing feature. It's probably a simple calculation, but I haven't yet found a good resource for someone as lazy with math as I am. Hopefully someone taking a physics class can help me out with applying Kepler's 3rd Law. I made an attempt, but I got stuck on dealing with units and the Gaussian gravitational constant. If you have a suggestion or notice a problem, please email me or open a GitHub issue on either the Stellar Dream or Keplverse project. I used to throw up my hands once in a while and say, “It's all too much! I have to slow down!” But I don't slow down. So now, instead of trying to slow down, I'm trying to understand myself better and make decisions about what I work on more consciously. The apps and games are ephemeral: I release them and move on. The libraries are benignly neglected, with patches getting merged quickly and releases going out sporadically. For example, I used to work on Literally Canvas a lot, but now all I do is merge pull requests and close the occasional GitHub issue. Of all the subdirectories of apps/, games/, and libraries/, 75% have been shipped to “users” in some way as itch.io uploads, App Store apps, PyPI/NPM packages, or live web sites. Every single one has a bitchin' README. Another way to look for patterns is to identify what's absent. There are no major contributions to third party libraries made in my spare time, though there are a few small ones. 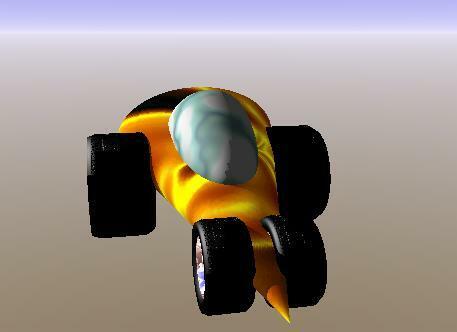 There are no Project Euler solutions, or any other “algorithms for fun” exercises. I don't use difficult-to-learn languages. And I haven't written any libraries that weren't an important building block for something else. For most projects, I can identify the thought that made me start. Those thoughts fall consistently into two buckets. Either I'm doing a game jam with the intention of making something better than what I made for the last game jam; or I have what I think is a great idea that needs to exist, and I think I'll do a great job at making it happen. Some hobbyist programmers feel like they can never finish anything. I'm the opposite: I don't drop a project until it's “released” to some degree. I will do time-boxed game jams when I have time, I have energy, and I have an idea that motivates me. I will take on non-game hobby projects if they won't feel like work and might be useful to me personally. A week ago, I was at the Roguelike Celebration. Josh Ge did a great writeup of the whole thing with lots of photos, so I'll just say that I met a lot of great people, showed off Dr. Hallervorden, and came away inspired. Having done that, I decided that 10PM on a Friday night was a great time to translate the REXPaint manual into HTML. REXPaint users, you're welcome. On Saturday, I got the itch to try out the Nim programming language, so I skimmed the tutorial again and sat down to do some real coding in it. 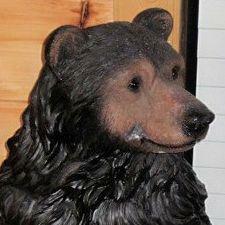 Naturally, my first program was a wrapper for the C[++] library BearLibTerminal, which I used to make Dr. Hallervorden. It was a neat experience to have my first program consist mostly of C bridge code. With my BearLibTerminal integration finished, I moved on to a REXPaint .xp file parser. These are the two basic tools of game development for me: a way to display stuff, and a way to render ASCII “images” to that display. 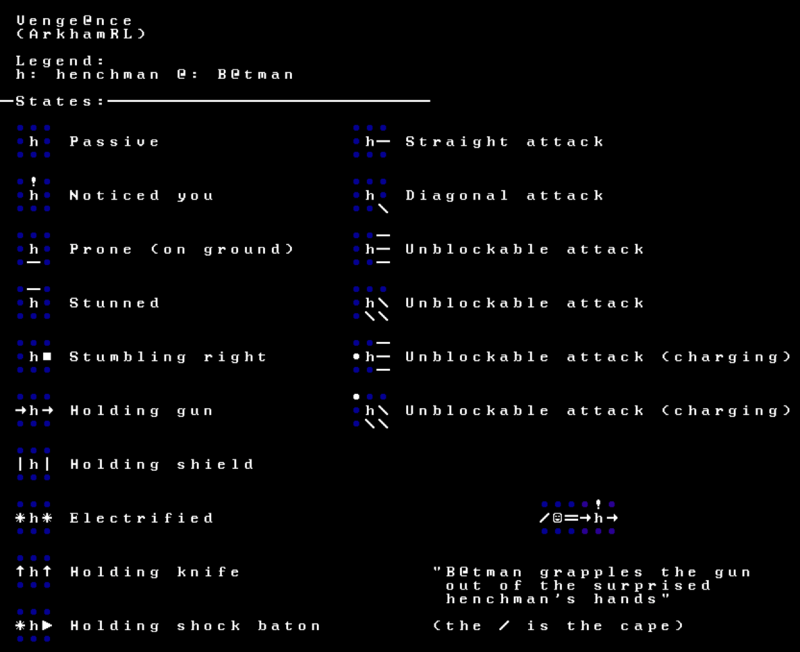 REXPaint uses a straightforward binary format, except it mixes 32-bit integers with 8-bit integers, and the 8-bit parts throw off the alignment of the 32-bit parts. In safety-oriented languages like Nim and Swift (which I wrote a REXPaint file parser for earlier this year), this means it's necessary to unfasten your seat belt and do pointer arithmetic, even though the car beeps annoyingly at you the whole time. To use them, you simply nimble install and import them. Generally, my impression of Nim is that it's a workmanlike language, but it also feels like somebody took Swift and beat it with jumper cables. For the past few months, there has been a community effort (be still my beating heart!) to translate Literally Canvas's CoffeeScript codebase to ES6. Today, that effort crept forward a little bit more: someone separated the “core” version of Literally Canvas into its own repository! This means we can significantly reduce the size of the main code base and drastically simplify the build process, removing barriers to new contributors. That's great news for me, because I would love to move on from being involved with Literally Canvas. That doesn't mean I'm done with open source libraries that help you make illustration programs! I announced on the Asana blog on Monday that we're releasing Drawsana, a “markup tool construction kit” for iOS in the same vein as literallycanvas-core. When I wasn't doing all that stuff, I was playing Tangledeep. The developers were showing off the upcoming Switch port at the Roguelike Celebration arcade, so I had an excuse to try it out again. It's progressed a lot since the last time I played a year or two ago! You can torture yourself with the rest of them here. Eventually, I left MIDI for GarageBand. I collected a lot of my GarageBand experiments in an EP on BandCamp. I still write a bit of music for my games. 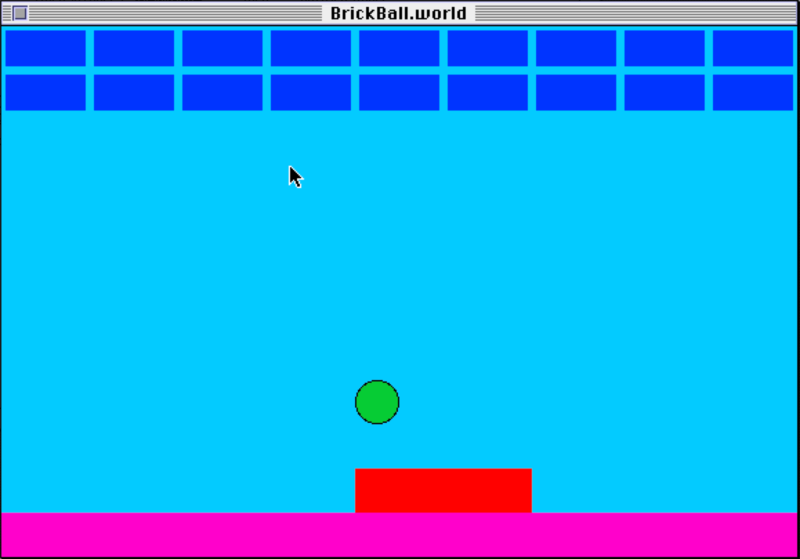 Although I spent most of my coding time making games, I also experimented with making “useful” programs. Since I was 12 years old and writing in various dialects of BASIC, my idea of “useful” a bit off the beaten path. I was dedicated, though, so in almost every case I wrote a very, very, very comprehensive README file so you would know exactly how to use my garbage software. I made all of these in Visual MacStandardBasic, a tool reminiscent of modern Interface Builder with a late-'90s BASIC dialect spin. The source code is still available, which is pretty cool. 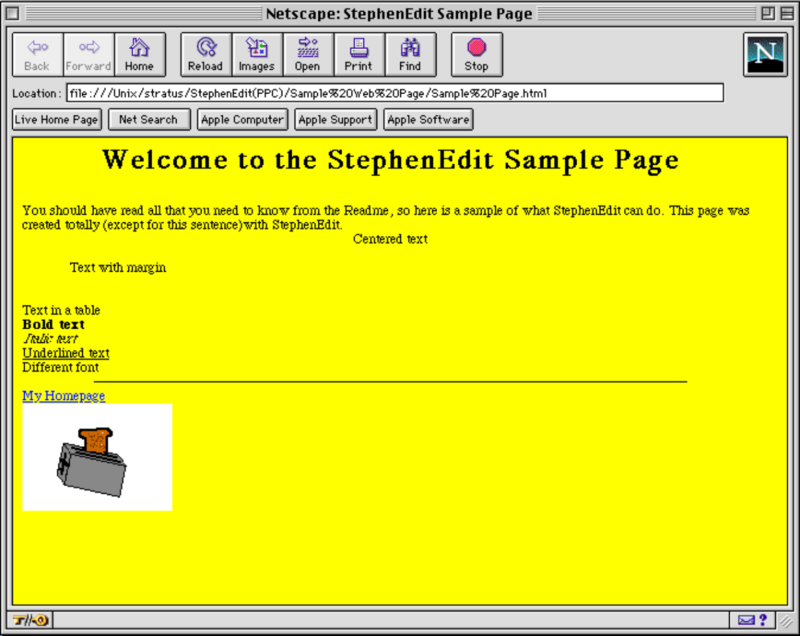 StephenEdit is a simple HTML editor. It was highly modified from an example that I got from www.squirrelsw.com. It could let you create an entire web site in less than an hour, but there are a few things that you need to know first. HTML stands for HyperText Markup Language. Don't even ask me what that is supposed to mean. This program will sort of write it for you. First, do what the buttons say. Click on the one that says “Click me first thing”. It will give you the basic beginning HTML. In it it will have a tag that says <META NAME="KEYWORDS" CONTENT="Put keywords separated with commas here">. Where the message is, you put in keywords that will let your page pop up in a search by one of those words if you register your page with a search engine. This will add a link to your page. This will indent the text after it. This will add a margin about 2 cm wide. 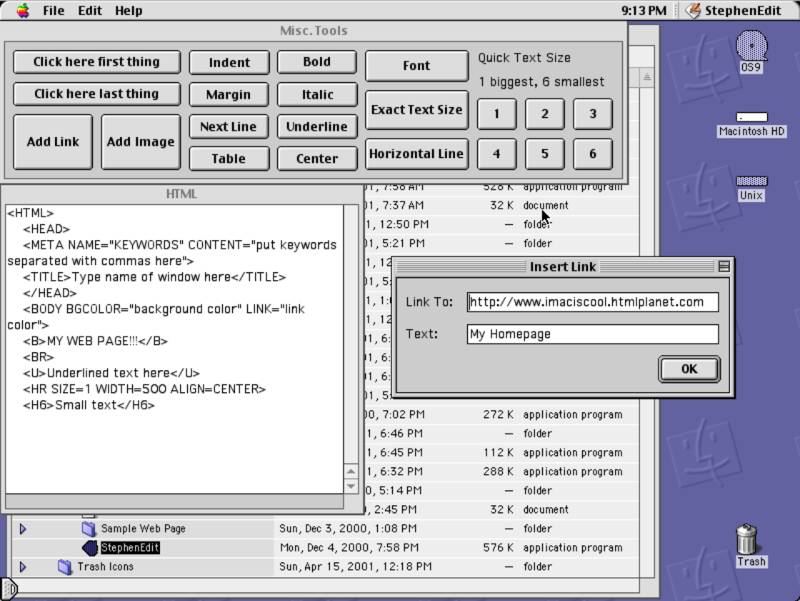 HTML doesn't skip to the next line when you do in an editor or word processor. These tags must be used to go to the nex line. If you want your page to be stationery instead of rearranging itself every time you resize the window, use these tags. Bold, Italic, and Underline Well duh, kind of obvious, isn't it? The “Text Window” This window has text sizes in it. If you want to see what your web site will look like, drag it to the icon or alias of your web browser. (like Netscape, or Internet Explorere) When the icon of the browser goes dark, let go of the mouse. Your browser should open your web page as if it had been saved from the browser. Another way is to go into your browser and select “Open” from the File menu. If you want to save your page as a document that will open with your browser automatically, just select “Save As...” from the File menu. Copy and Paste come in handy. If you are trying to learn HTML, just look at the commands. I used the ∆ glyph to point to things. The email address at the bottom was my dad's. 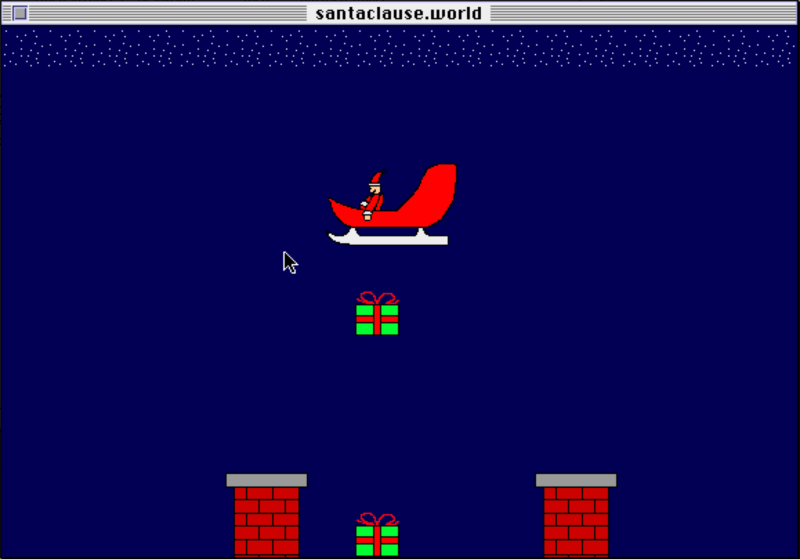 90% of this program was example code for Visual MacStandardBasic. This will give you an open dialog where you can choose which file to open. “ttxt” is just the four-letter file code for SimpleText files. It saves the file (and whatever changes you have made to it) into SimpleText format and will put it in File Reader's Folder. When new files are open, you can either have File Reader replace the current text or add to it. Type is the file type. Creator is the file signature of the program that created it. Default is set to SimpleText text file, but if you know the codes for other applications, you can change it. A lot of saved source files, saved games, and compiled applications have a lot of interesting data. Sometimes it's very interesting, as in revealing codes and all that. This document contains guides to some of those things. By the way, when I say,“Skip a few lines”, that means that I don't know what the stuff that fills those skipped lines is. 2018 Steve: I was trying to document the data fork formats of GameMaker files. After that come all of the game's variables in quotation marks and their values beneath them. 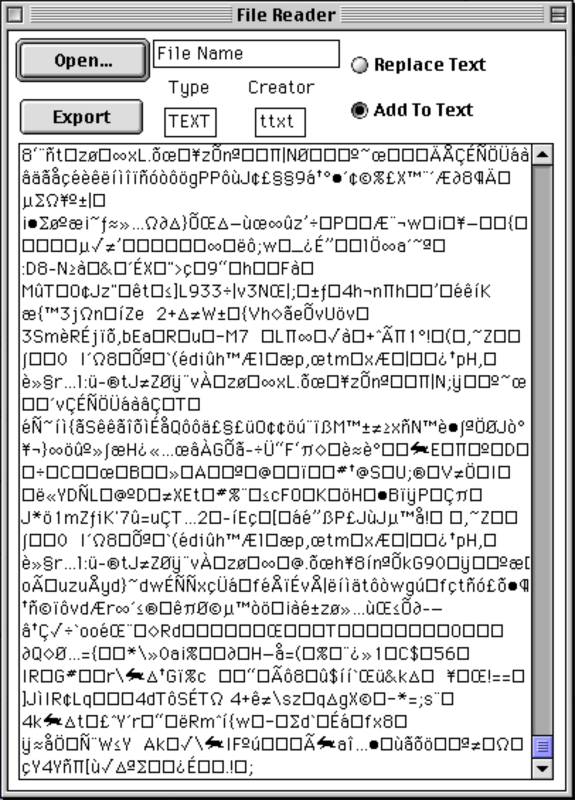 Somewhere in there is the text last put in the text field via the PRINT statement. "top-left button name","top-middle button name","top-right button name","bottom-left button name","bottom-middle button name","bottom-right button name"
This repeats for every card. 2018 Steve: I was trying to document the data fork format of Visual MacStandardBasic project files. This sets the form parameters. This part repeats for every control on a form. This is the startup procedure. This repeats for every sub procedure. Sorry that it doesn't have a save feature, but I couldn't get it to work. Maybe in future version... But you could export it to the same type and creator and then copy the resources to it with ResEdit! Once you open something in File Reader, it isn't closed until you quit. I don't know why, but sometimes, instead of opening a file, the text area is cleared. Wondering what GamD is? It's GameMaker's file signature. For some reason, exported files are changed to “TEXT” format instead of the specified one. This can be fixed in ResEdit. If you're going to do this, delete the “RMAP” resource. File Reader can open SimpleText files and not have any extra junk! This means that SimpleText wouldn't look at it any differently if you changed any file's type to TEXT or ttro and its creator to TTXT. This program is just a quicker way. I cheated big time in War of Shadows with this! 2018 Steve: War of Shadows was someone else's GameMaker game. I'm sure you're wondering where I got the name. It is “Scratchpad” spelled backwards. 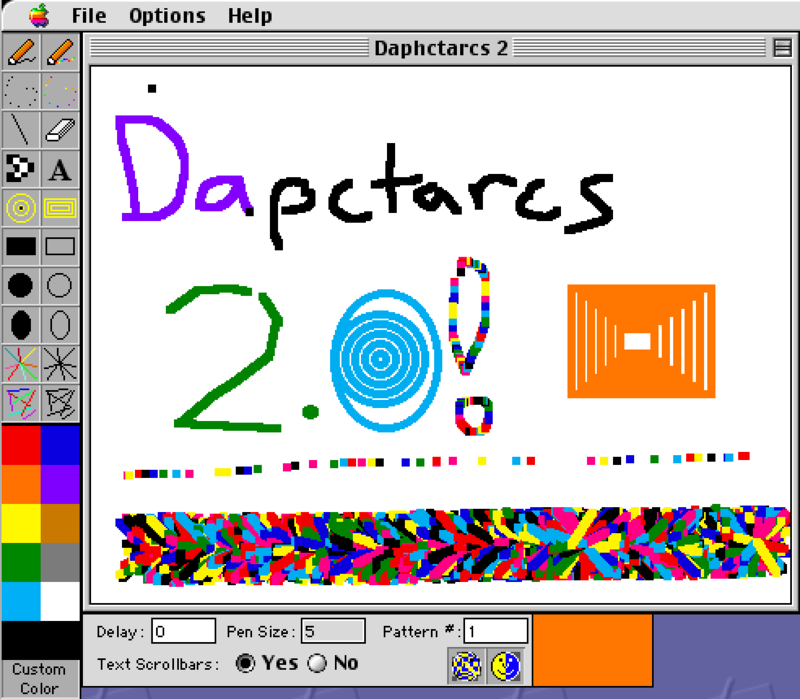 Dahpctarecs is a drawing program with all the normal features of any drawing program. (Minus the paint can, unfortunately. It can't save, either.) Use the navigation bar at the bottom of the screen to browse through the chapters. Everything in this menu will have an effect on the entire graphics window. This erases everything in the graphics window. 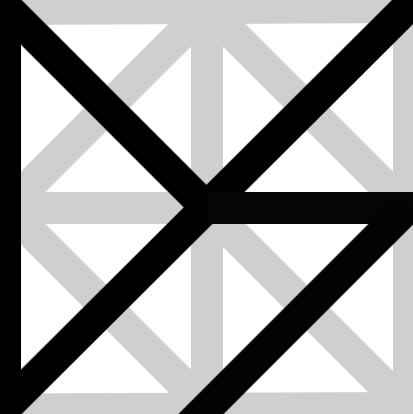 10-pixel-inverted-squares will be layed diagonally, filling up the whole window. Pen modes, text scrollbars on/off and paint fill on/off. Textboxes can have scrollbars. You can turn them on and off. The options just below this label can toggle filled-in shapes. There are many pen modes, but these are the only ones useful to this program. With the line tool, there is no scrambling. Pen mode is not the same as fill mode and will not work with filled-in shapes! Dahpctarcs can't save, but press Command-Shift-4 and then drag a box around the area that you would like saved. The computer will make a snapshot noise, and the picture will be saved as “Picture 1 (or 2, 3, etc. )” in your hard drive folder. To undo a full invert or inverted quilt, just invert all again! Inverts can be used to get colors that are not available on the menu. If you use any invert tool that fills the whole screen, doing it twice in a row will undo the invert affect. Sometimes, a color will revert back to white on its own. THIS IS NOT MY FAULT!!! 2018 Steve: It was my fault. Whenever an area of the drawing window is covered up and then shown again, the entire process that you went through to draw your picture will be repeated as fast as the computer can draw. This can be taken as a bug or as a feature. THE COMPILER DID IT!!! When you click on a new color or pen size, the active tool is deactivated. 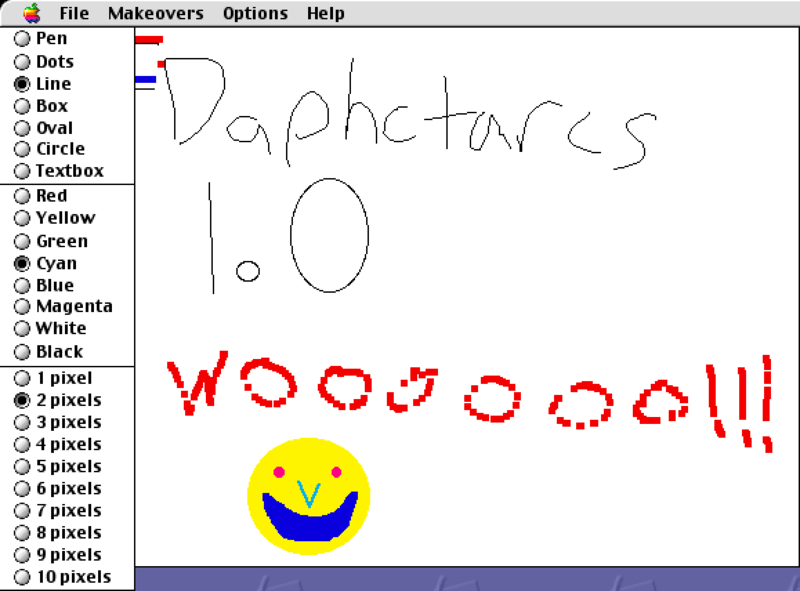 If you hold down a tool button for too long, Daphctarcs draws a line or a dot to the right of the cursor, inside the drawing window. This is pretty easy. 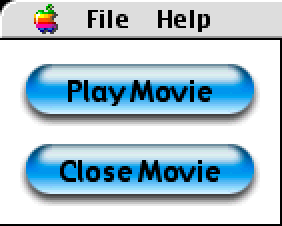 All you have to do is click “Play Movie” and you will be asked which movie. Type the name. Then click okay. If you press Return instead, the movie name box will go to the next line. Now your movie will be played in a new window. To close it, just hit “Close Movie” to close your movie. If you try to open a new movie while one is already running, weird things will happen. I will try to include more than one movie running at the same time in later versions. Note: Only movies that are in this application's folder may be played. I'd fix this if I could, but I can't. That's one reason why I wouldn't suggest using this player as your main one. Glideroy is a goldfish who talks when you mouse over him. Phrases: * What's that slimy thing on your shoulders? Oh, it's your head. * What's that behind you? * Stop treating me like a minnow! * I'm too good to be on your computer. * I love you, you love me, we're a fishy family. * Oh no! I'ts a runaway toaster! Run! * If you appreciate fishing, I'm never talking to you again! * The meaning of the universe is pi-r-squared. * If you're happy and you know it clap your hands! * Go jump into the swirling black void that is your head. * Oh no! A virus! Somebody help me! This program just lets you look up characters’ ASCII values and values’ characters. To look up a character’s value, type it in the upper text box in the “Look Up Char” window. Then click “Look Up.” The character’s value wil appear in the lower box. The same applies for the other window. Version 1.1 is going to have a cooler look and will be able to display a full ASCII chart. I have it ready, but I have to get permission from the author of ButtonMaker before I release it. PageStarter is a utility for people who already know HTML, but are tired of typing in the HTML to start off pages. This program will write the HTML for you, and all you have to do is enter in some text and click a few buttons! Page Title: This fills in the <TITLE> tag. Background: Select whether the background is a plain color or an image. Color/Image Name: The name of the color or picture to be used as a background. Alignment: Make your page left-aligned, centered, or right-aligned. Page Heading: PageStarter will take the text from this field, put it in <H1> tags and stick it at the top of the page. Opening Text: You can type some text to start off your page, but it will only accept 100 characters. Go! : Click this button to have PageStarter display your HTML in the righthand box. You can now use Cut, Copy, and Paste to edit the HTML in the field. I’ll try to have it be able to save to a file in future versions, but for now you’ll just have to copy the HTML in the field and paste into your HTML document. FreeStuff is the free alternative to DropStuff and StuffIt Expander. It supports drag-and-drop, but unfortunately, only drag-and-drop. You cannot open a file from within the application. What is included with this package? Just drag and drop files onto it, then choose your format. Right now, FreeStuff can’t do Zip, BZip, or UUEncode formats because I’m having problems with them. You can Stuff, BinHex, or MacBinary encode them. Stuffing decreases the file size, but judging from some tests I’ve run, I don’t think BinHex or MacBinary really decrease the file size, just prepare it for the internet. ExPand is just like StuffIt Expander, except it has a MUCH smaller file size(only 4k!). DADDIM stands for Drag-And-Drop Disk Image Mounter. I haven’t been able to test it, because I have no way to make disk images and don’t have any on my drive! If you find any kind of error in this program, I need to know about it! StuffIt Commands is a Scripting Addition that allows you to have direct access to the StuffIt Engine and compress or decompress files in any format that StuffIt can. These programs were all made using Smile 1.8.0 with AppleScript 1.4 and compressed using FreeStuff v1.0. FinderQuitter is a little app that lets you quit the Finder to free up RAM. If you don’t know what I’m talking about, RAM (memory) is stored in blocks. If there is something in between two large blocks of memory and a game needs a lot of RAM, it won’t be able to have enough memory. 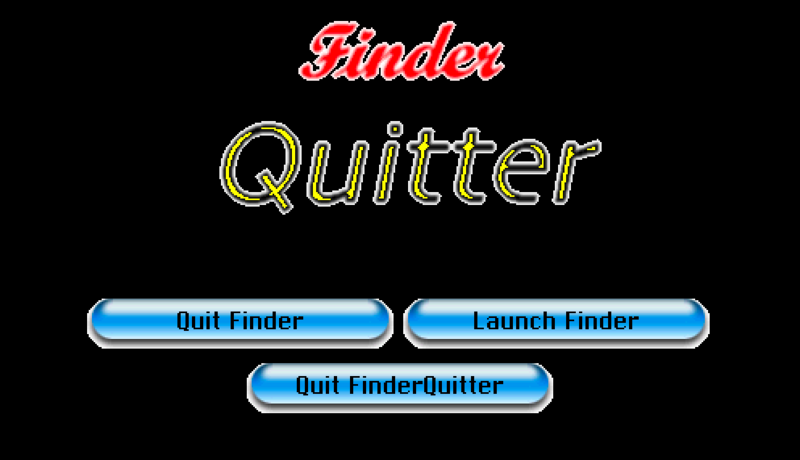 That’s when you should use FinderQuitter will quit the Finder, which is usually what is in between blocks of memory. Comments: It's the same as the pen, but it's got wacky colors. Comments: Draws a trail of dots behind your cursor. The colorful one draws a colorful trail of dots behind your cursor. Comments: The pen...but crazier and harder to describe. You'll have to try it. Comments: Drag a rectangle and a box of text appears that you can type in. The box will always be there. If you try to draw over it and click there again, the box will pop to the top. It will keep doing this until you select the “Clear All Text” menu. You can turn the scrollbar on and off using the option in the bar under the drawing window. Comments: You draw a circle (see the Circle tool) and Daphctarcs draws five circles around it, each one bigger than the last. Comments: This is just like the circular one except with rectangles. Comments: This is NOT the Ellipse tool! You click the mouse where you want the center of the circle, then drag outward to make it bigger. Don't mix this up with the Ellipse tool. If you do, you'll end up with your whole graphics window filled with one color because you've made your circle too big. Comments: Draws random lines coming out from your cursors. The colored one changes colors (like the Crazy Pen tool), but the black one doesn't. Comments: Draws random lines, but they are all within 40 pixels of your cursor. The options are in a little bar just below the paint window. If you want the line sprays to go slower, or you just want to watch the Checkerboard and Invert effects go slower, than make this number larger. This will make the pen bigger. All lines and dots will be drawn thicker if this value is bigger. The Macintosh OS has many patterns stored in itself. I was too lazy to figure out which number goes with which pattern, but I do know that normal black is 1. Any pattern number below 1 is random every time Daphctarcs launches, probably because you're not supposed to do that. As described earlier in this document, text boxes can have scrollbars or not. This option turns them on and off. “Checkerboard” effect: It inverts every other square in the graphics area. These are all the tools. This is the color selection bar. Click “Custom Color” to enter your own RGB value. This bar has the options and effects. If you collapse the Paint window and uncollapse it again, you will get a replay of everything you have done since you last selected the “Clear All” menu. This could either be a bug or a feature. I didn't put it there, but it's cool anyway. If you create a new text box, the text will be the same color as the main color. If you really want to save your work, you can take a screenshot by pressing Command-Shift-4 and dragging a rectangle around the area that you want saved. It will be saved directly to your hard drive as “Picture 1,” or any other number, depending on how many screenshots you have taken. After using the “colorful” tools, the main color will be reset to black. I put this in because before, the color would be random. When you use some tools for the first time, you will be prompted with a dialog box. I have no idea why it does this, and you should just click the Cancel button. What the heck is iSketch? 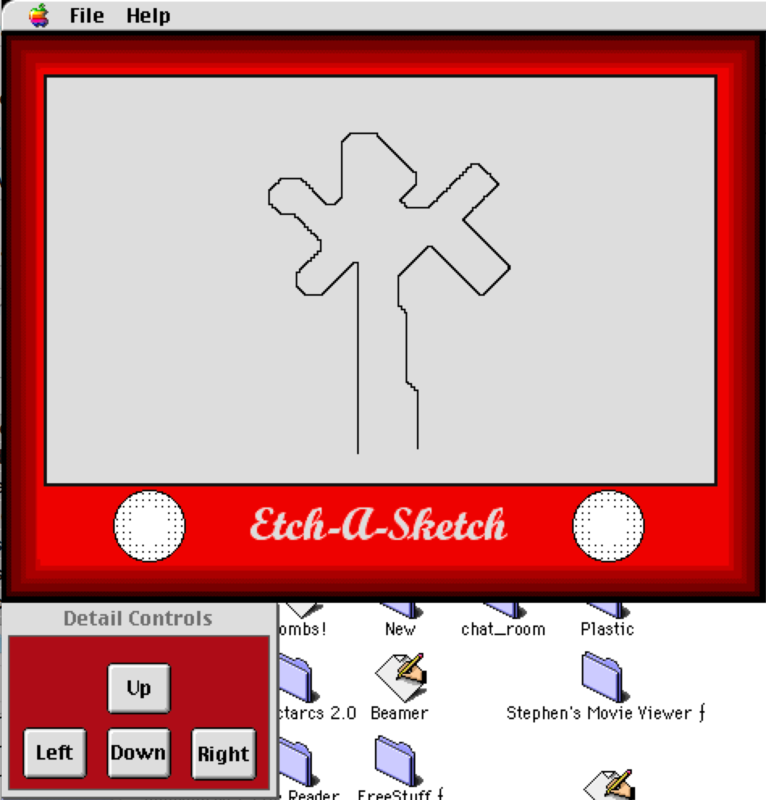 iSketch is a virtual Etch-A-Sketch with way too many features. Why would I want a virtual Etch-A-Sketch? Of course, you could always use the simple little detail controls, but you can also use the arrow keys or the “Etch-A-Sketch” keys: A-S and :–“. A moves down, S moves up, : moves left, “ moves right. Set Background/Line Color—You can change line color and even the background color (if there is no background image). Pen Size—You can change the size of the line. Pen Pattern—This should be a number from 0 to 38. I didn't feel like displaying all the patterns for you so you'll have to find out which ones are which. 0 is just a random collection of pixels every time you start up iSketch. 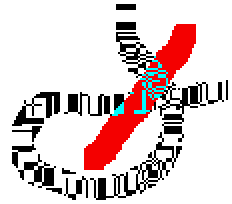 Pixels Per Move—You can make your line “jump” this many pixels when you move. 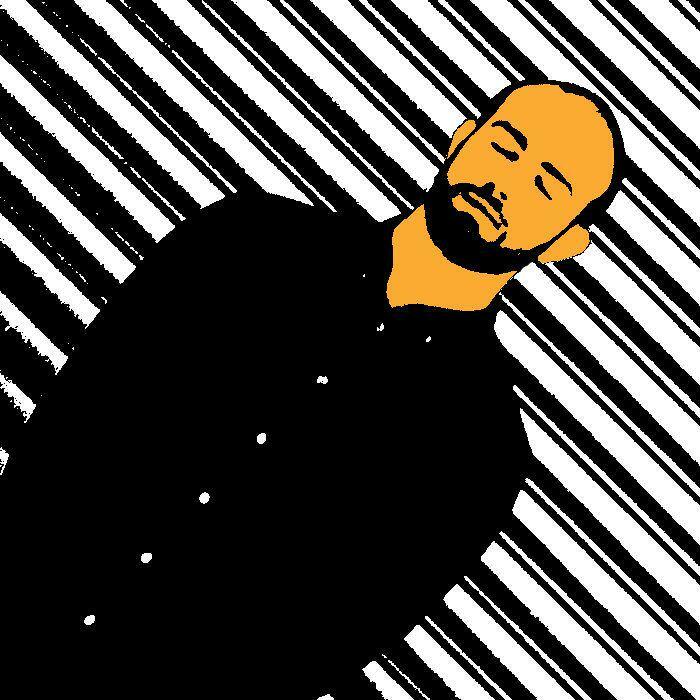 Pen Mode—Make you line into an eraser, normal pen, or super-cool invert tool. Clear All—Erases the background image and drawing from the main window. Clear Graphics—Erases your drawing from the main window. Restart Music—Starts the background music over again. The music controller is in the Detail Controls window. You can change the background music and image by replacing “Background Image” and “Background Music” with your own stuff. By deleting, moving, or renaming the background image, it will not show up and you will have a blank white window. By doing this you can use the Background Color feature. By deleting, moving, or renaming the background music, you will have eliminated it from iSketch. If you want to try out the pen patterns, make your pen size something like 50. That's everything up to about 2002, when I moved to a web host that didn't survive to the present day. Looking at all these wacky programs together, I think it's hilarious how much effort I went into documenting everything. It's a compulsion I still have, and I'm glad it's a benefit in my professional life rather than a burden. It might be fun to go back and remake some of these as modern Cocoa apps or static sites, but I'd rather keep moving forward. I'm grateful to have had the time, resources, and safety to play with this stuff at a time when I was still figuring out what I was interested in. Programming is still my hobby as well as my job for this time in my life, and while I might want to leave the coding for weekdays between nine and five at some point, for now I'm still going, as enthusiastically as ever. Discovering this forgotten piece of my awkward and enthusiastic past sent me down a rabbit hole of past-self discovery. 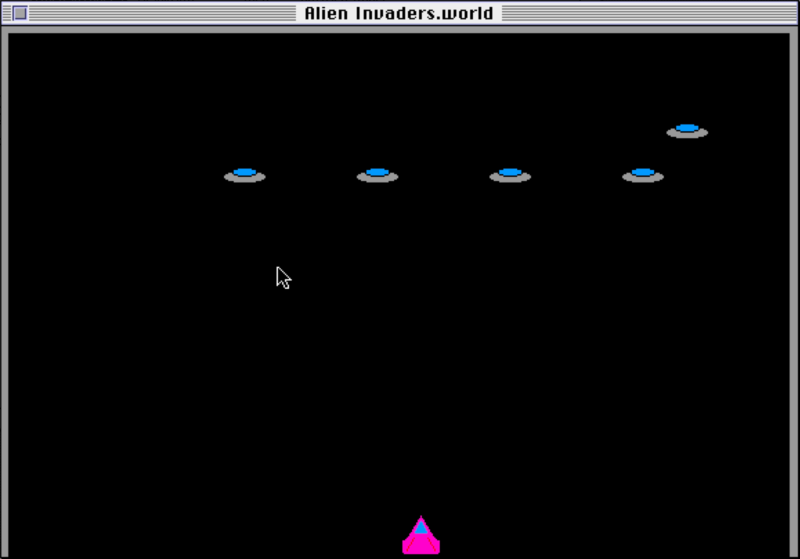 I got most of my early games running in Basilisk II, a 68k Mac emulator, and successfully guessed the passwords to my old web hosts so I could download all the files. This post will focus on the sites themselves; later on I'll dig into the apps and games. I already did a bit of that on Twitter, but I think it's worth collecting it all in posts, just for my own sake. Here is where you see what is coming soon to this site. Duh. This will probably be my best game yet. It will be an RPG where you are walking through Bill's base trying to find him so you can bring him back to your planet and Macs will rule the universe once more. The graphics will be better than in Save the CLD and Destroy the World. I warn you, I may never get around to finishing this. If you've got Escape Velocity and you want to wipe out Windows, then this is the plugin for you. There is a system called Mac Territory surrounded by the Mac face. But I can't get the Mac Armor outfit to work, and the Windows part isn't made yet. I probably won't finish this one or the Animorphs plugin either. Instead of Confeds and Rebels we have Andalites, Yeerks, Leerans, Skrit Na, Hork-Bajir, Taxxons, and Iskoort. Please e-mail me with any questions, comments or suggestions you might have. An “articles” page, with my first essay on effective documentation. True work of genius. I rendered all the MIDI files to WAV and uploaded them to SoundCloud. I might give a couple of them a proper mix eventually. It would be a nice complement to Salvage Operation EP! Over time I got a little better at making games, a little better at making web pages, and a little better at self-editing. The next iteration of the site, silvernetwork.net/diordna (2004), had a similar structure, but was a little less background-imagey. 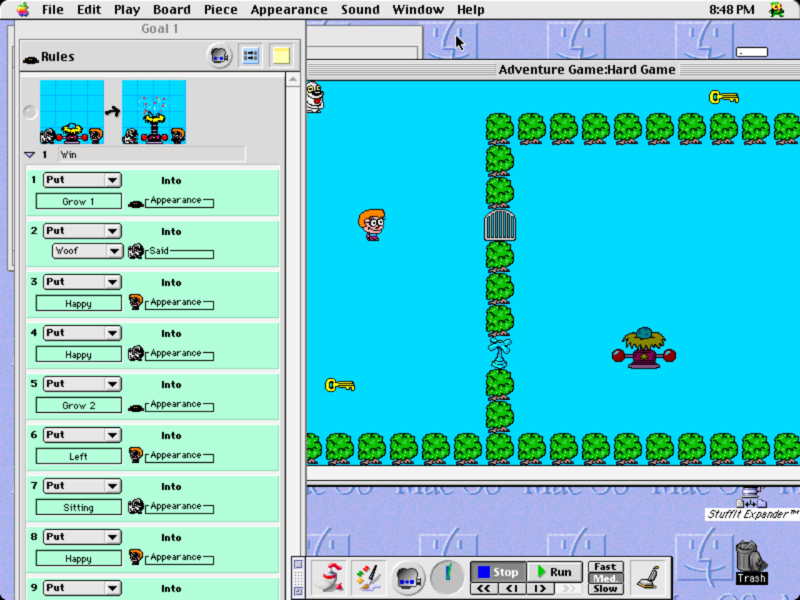 When someone in the little Mac indie game dev scene I was in started handing out subdomains on macintoshdevelopers.net, I started over with my new CSS skills and made diordna.macintoshdevelopers.net (2004-2007). When I finally bought my own domain, thebiggerbox.com (2007), I ran WordPress and made a custom theme. But “The Bigger Box” didn't last long; I picked up steveasleep.com at the end of 2008, and it slowly converged on what you see today at steveasleep.com. A couple days after I wrote this post, I found an even older version of the site using the site admin tool. This is not the true web site that I have prepared. I meant to upload one from home, but I couldn't figure out how to use the stupid FTP program. Oh, well. In my real one I have some downloads. Wait a while and maybe I'll get it up and running soon. List of my programs not available yet. 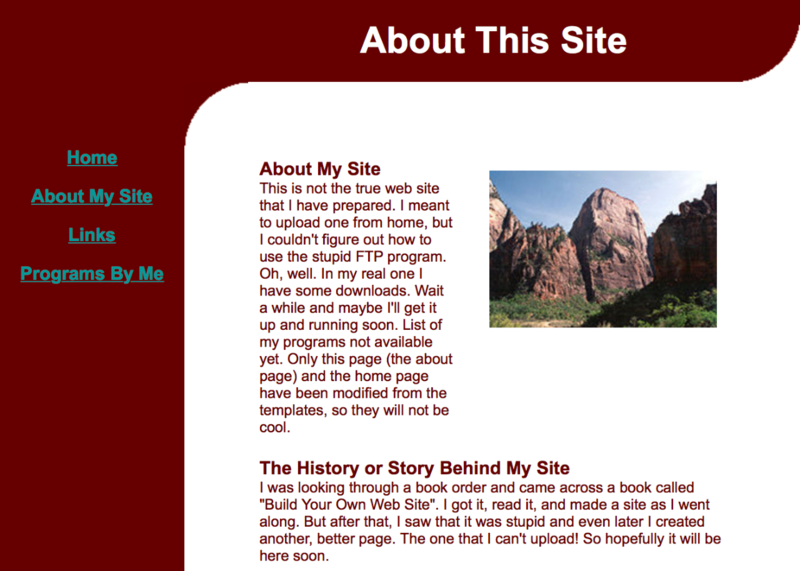 Only this page (the about page) and the home page have been modified from the templates, so they will not be cool. I was looking through a book order and came across a book called “Build Your Own Web Site”. I got it, read it, and made a site as I went along. But after that, I saw that it was stupid and even later I created another, better page. The one that I can't upload! So hopefully it will be here soon. Super Dude The alien politicians from mars are trying to become president of the United States. You must stop them! Bombs! Avoid the falling bombs or shoot them. 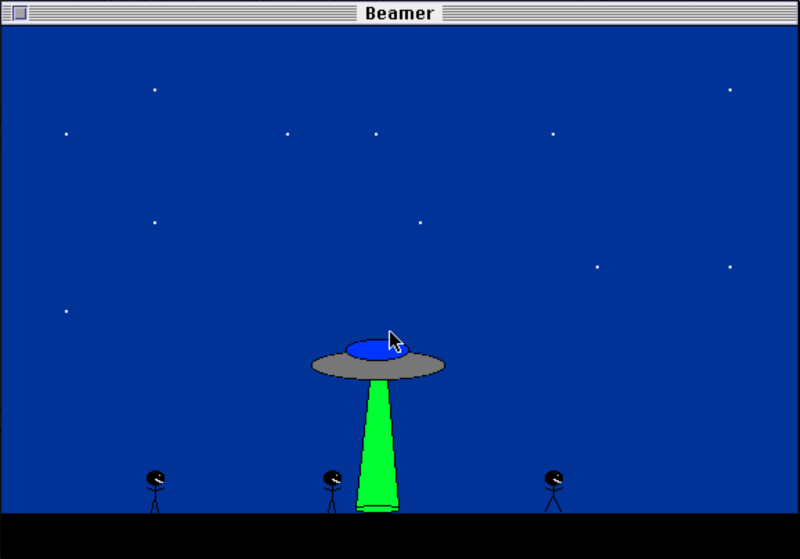 Beamer Beam up Earthlings from your spaceship. Christmas Package Drop Drop presents down chimneys from Santa's sleigh. Save the Cute Little Doggy In this game you do just as the name suggests! 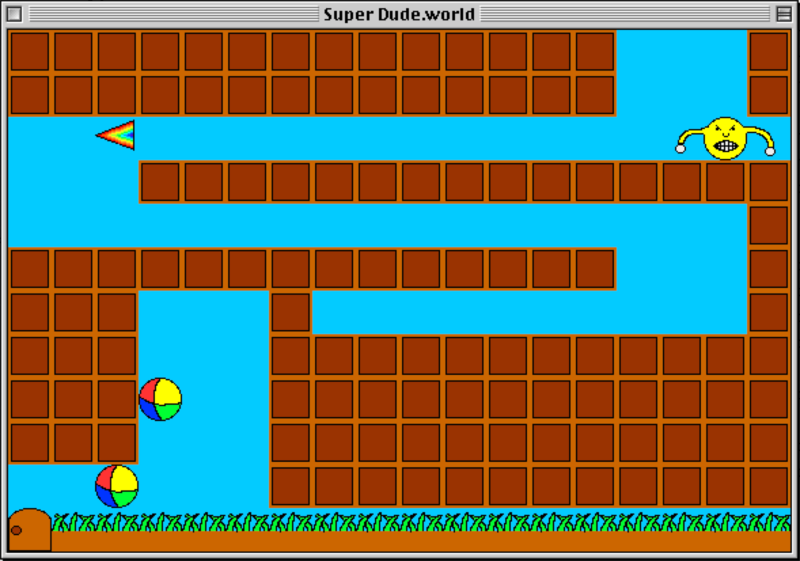 Destroy the World In this game you destroy the world! CityGunner Shoot the bombs before your city is destroyed or before you are destroyed. StephenEdit Make your own web pages with this HTML editor. SuperCalc Calculator so great that my mom uses it instead of the system calculator! The Third Attempt Drawing program. Enough said. In the future, when my real site is up, all of these programs will be available for download for Mac users. This year I went to one big conference and one little conference. 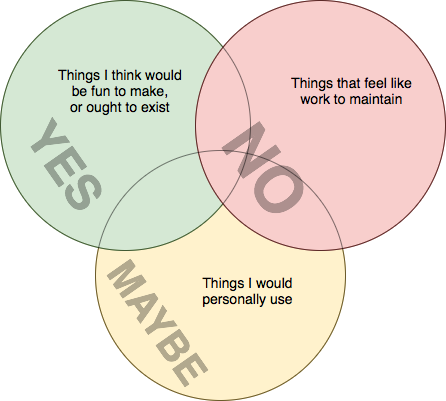 Here are some quick notes about the tradeoffs. Big, company-run conferences are great networking opportunities because “everyone” is there, and parties often spring up for smaller groups in the evenings. They have many high-quality talks about core topics that are appropriate for huge audiences. However, these talks are often limited by corporate constraints. At WWDC you won't hear a talk about iOS jailbreaking. At GDC, while you might have a panel on unionization, you might not get a neutral moderator. Small, community-run conferences are less good for networking due to raw numbers of attendees, but you learn names and faces much more easily, especially from year to year. You can certainly get to know people that way at larger conferences, but it takes more effort from people like me who don't do it naturally. And while the quality of speakers is much more variable, so is the range of topics! That aspect works in your favor if you want to give a talk. Unlike a huge conference with a competitive CFP, you have a fighting chance of getting a presentation slot. There are Goldilocks conferences like PyCon which combine guileless community building with huge attendance and high quality. If you're in a community that has one of these, you're very lucky. 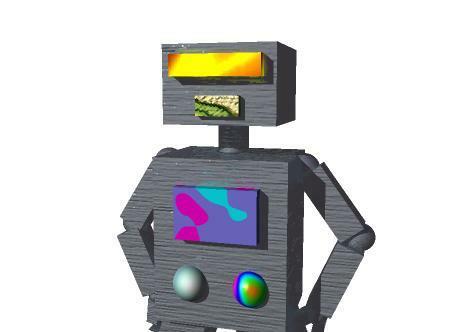 My first username, “bytebouncer,” was chosen by my dad for my first email account on Yahoo. It was a good name for a kid who was already computer-obsessed. I didn't stick with it long, but if I wanted to reclaim it today, I could. It's completely unused online except in a scraped database of ancient email addresses. Ace username-picking work, Dad! But at some point, I got tired of people assuming I was female because of the -a suffix. So when I made my GitHub account in 2008 as a freshman in college, I started from scratch with “irskep.” When people ask me what it means I usually say it doesn't mean anything—it's a pronounceable six-character string—but it's a convenient lie to avoid explaining that it's a shortening of “irrational skeptic,” a reminder to myself not to feel too smart. But I didn't buy the dot-com until this year, instead going with steveasleep.com. I picked it with an eye toward email addresses: steve@steveasleep.com is so much easier to explain than steve@irskep.com or something like that. I don't love the name anymore, but I'm kind of stuck with it for SEO reasons. My name is Steve Landey. I have a lot of usernames. That's all I'm trying to say.